Welcome to where we discover and share up and coming artist’s across the nation but particularly, the states we are currently residing in. For the Local Artist of the Month, we have selected Kyral x Banko. Check out our most recent up & coming artists! What defines up & coming? Under 20,000 likes on Facebook / Soundcloud, still a new(ish) project compared to other artists. Supports the local scene with playing shows as support, being apart of other up & coming artist collaborations, and many other methods. Kyral x Banko – The naughty duo of Kyral x Banko has been dominating the bass scene across the front range over the past year pretty heavily. They are apart of the Quality Good Fam, (Record label from UZ) but also have collaborated with Angry Neighbor and MorFlo with epic releases and live performances! They play a nice variety of heavy trap beats, dubby sounds, and extraordinary sound production, with the occasional live rapping from one of them (Jeff.) In the studio they have collaborated with G-Rex, SoDown, and a couple other of artists. They may be sitting on a quite a handful of unreleased music which just makes their live performances oh so much more interesting. Their trap beats are brilliantly designed and combine the best of slowed down 808 hits along with nasty sound design that, together comes to be one of the most exhilarating genres of dance music out there. Check out some of the filth below and make sure to follow their Facebook & Soundcloud for releases and news! Ahee – “The Man, the myth, the alien fish!” No better introduction to an artist’s bio than that! Ahee is turning heads and taking souls onto a one way groove train to a dimension of unworldly bass! This California grown music producer has quite the galactic following for just being on the rise. He has traveled to Costa Rica for dual performances under Ahee and his side project, Heartwurkz, and is going across the states on his own tour! He has self released most of his music and gotten EPIC feedback across the board. He sent out his tunes to be played at the most recent Bassnectar event in Mexico to music mastermind ill.gates. Ahee is just one alien to look out for and with March Maddness on the horizon we only expect the nastiest production to come from him yet. Deerskin – Coming from up North in Elkhorn, WI. – where nature and wild life run freely, an artist has inspired his work from odd and unique features from our world and put together sounds that truly represent Deerskin‘s work. A psychedelic bass producer with aspects of downtempo, glitchy, goodness who when performing live has a live midi loop incorporated where he can do fresh change ups of songs of his. He has been killing the game across the states and he is just beginning to truly break ground. Check out some of Deerskin’s music and follow his socials below! Mersiv: Colorado based bass artist is causing a whirlwind of ruckus with his insane beat production! Starting out with the homies from MorFlo Records, Mersiv has grown into a massive producer by recently having a release on Deadbeats and along with being signed to Madison House, Mersiv has just been on a whole different level of brilliant music production! He is finishing up a pretty vast nationwide tour and in the start of the new year he will be direct support for the Boogie T.rio tour! Some are calling him a mini Bassnectar as his sounds are just as heavy but structured in a different way of wonk. It doesn’t help that his hair is just as majestic as the ‘King of the Sound’s’, but truly this guy is on one and will be headlining massive shows and festivals before we know it. He already destroyed electric forest last year… we can’t wait to see what other festivals get hit with the Mersiv Sound Project. Psyntimental: A gnarly duo from up north in the state of Michigan who go by the name of Psyntimental. They produce a wonky and heavy style of bass music with influences from artists like, Bassnectar, The Glitch Mob, Moody Good, Minnesota, and more! Earlier this year they entered the UNTZ.com music competition to have select performances at festivals across the nation and they won! This gave them a plethora of opportunities to spread their music at festivals such as; Sonic Bloom, Electric Forest, Camp Bisco, and more! This year has been massive and its only getting bigger for them. In the coming month, Psyntimental will have their first album released, under the name of Computer Based Science. On this album they flex their musical ideas and blend together sounds for a one kind sound that is defying modern day electronic music. Check out their album Computer Based Science, in three days! Here is one of our favorite songs posted below. Craftal: Glitch Hop has met a new player. One of Denver’s finest, Craftal, is taking over the underground scene with his scratchy and space like sounds for an ultimate blend he refers as Cyperfunk. An unique take on the dance scene for sure! Having performed at The Black Box, Empire State Room in Texas, and in Washington! He has performed for big names such as Andreilien and Detox Unit! Check out this locals spacey glitch hop! DropTalk: “Trap” and “Bass” music is getting a fresh dosage of unique and talented music from Boulder grown producer, DropTalk. We are featuring our Up & Coming Artist of the Month to this wizard of beats. His project started in 2016 and has grown into a local phenomena. Having several releases under the name DropTalk so far, but as well as his other project, Creature, we can only expect that Michael will continue to be on the rise and put out some of the filthiest beats to date. Check out his LATEST release w/ Sunshine Collective, “Exorcism”. Woolymammoth: Up and Coming artist from San Fran is taking everyone by surprise with his insane hybrid bass music production. Dabbling between hip-hop styled beats to filthy half time and everywhere inbetween, Woolymammoth has been a name to look out for. Having Collaborated with ATLiens in the past and just recently perfomed at Shambhala Music Festival, we know that Woolymammoth is killin’ the scene as an Up & Coming Artist. G-Space: A brilliant multi-instrumentalist and tricking artist who produces magnificent wonky beats. This month’s up & coming artist spotlight goes out to our close & beyond humble friend; amazing musician, and tricking record label owner, Grady B., also known as G-Space. Raised in Cape Cod, Massachusetts, G-Space has traveled the world doing the two things he loves the most, music production and tricking. He had gone to Europe for a tricking tour competition and in doing so had made tons of friends along the way. Fast forward a few months and dreams turn into realities. G-Space had compiled people together from all over to form a record label solely composed of trickers, named Iceberg Productions. For those of you who don’t know what tricking is: “A form of acrobatics where practitioners focus mainly on linking together chains of acrobatic kicks, flips, and twists in combinations, or combos.” Basically doing tricks us normal people would do on trampolines, right in front of us on hard ground… sometimes even playing an instrument. G-Space has defied the rules of live entertainment by being a solo act for music performance but still engaging in stage arts as well. May not be much tricking, but throwing down an original song and running to the front of stage or into the crowd and doing a backflip then going back up is pretty badass. You add that in with his insane beats that he produces or pulls from these other up & coming tricking producers, and it’s an experience that you will not get from anywhere else. He put out a mix for us on The Electronic Chronicles which can be seen in this link. For those of you who are curious about the tricking label, check out his website below for more info and their first compilation release, ‘No Experience Necessary’. ᴇᴜғøᴇɴɪ – When poolside ‘house vibes’ get matched by funky disco like synths and harmonious beats the result is the ultimate “quality of being pleasing to the ear,” in other terms Euphony. This month’s up and coming Artist spotlight is focused on; originally from the iconic Martha’s Vineyard in Massachusetts, but now residing in L.A, ᴇᴜғøᴇɴɪ is using his 12 years of musical expertise to release his blissful sounds to the world with an awe-inspiring production. Not only does ᴇᴜғøᴇɴɪ play with diverse genres from house, funk, soul, R&B, and disco, but he incorporates his self-illustrated art that he uses as cover art / live visual art. Inspired by his dreams, ᴇᴜғøᴇɴɪ is turning ‘dreams into realities’ by illustrating and producing images and sounds in his head and turning them into beautiful creations of art. Because of this, among his amazing productions and notable festival performances such as Life is Beautiful and Splash House which is coming up this weekend, ᴇᴜғøᴇɴɪ is one of the artists gaining grounds super quick and is an artist you gotta look out for! Check out his recent release, “Planetesimals” which goes to show this ultimate blend of relaxed yet groovy live electronic beats and be on the look out for his newest release “All I Have For You” coming out this Friday! This song truly goes to show his diversity in music production as he takes his sound for a wonderful turn with Funk House. Make sure to follow him below to keep up with all of the releases and performances! VCTRE – Thazdope has seriously found some serious fireeeee. VCTRE – a wonky future bass produce from Alabama who has been straight slaying the sub frequencies game with insane sound design is hitting the scene extra hard this year. He is an up and coming producer but with the beats he has been laying out, its as he says: “For the transmitter, for the infections. 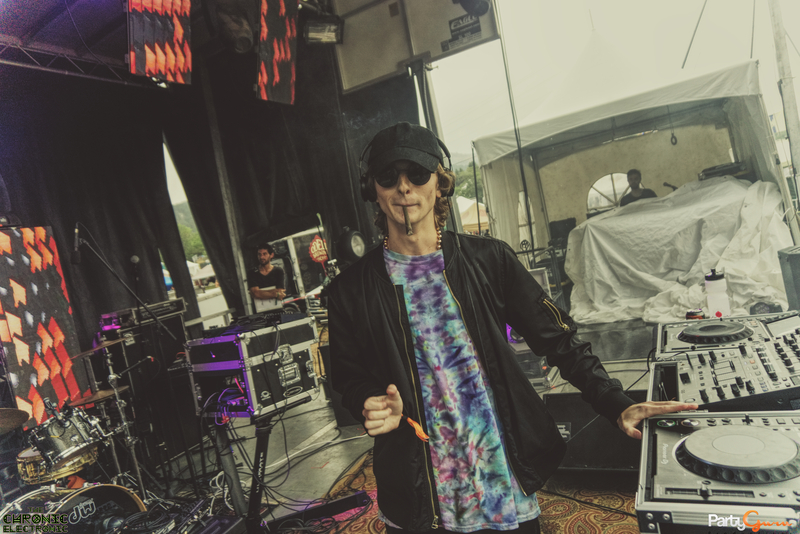 A curator of sound; cultivator of motion.” You can expect to see him at some major events across the states this year, such as Disc Jam Music Festival, where he will be playing the afterhours silent disco hosted by The Wook of Wallstreet. A definite must see for festival goers and for those who cant attend, there is a filthy mix in the coming months. Until then here is one of our favorites from VCTRE! Opalyte – Another Boulder, Colorado grown artist, but this one is under the wings of our friends at MorFlo Records! Opalyte has been influenced by some of the biggest bass names in the scene and with passion and determination, Opalyte has put his talent with playing multiple instruments and excellent sound design to the test! With creating some of the wonkier and deeper sounds on the Front Range, Opalyte is quickly getting his name and sound recognized across the scene. Check out some of his music in the links below! He recently put out a new EP called Further and on top of that he has a single ‘Kala’ that got released on theUntz.com. Nothing but big moves from this guy! Catch him before he blows up! SoDown- This Boulder Grown, saxophone funky trap artist has been on the rise and rise for the past couple years. 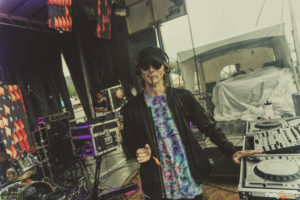 With several performances at Festivals like Sonic Bloom and Gem and Jam, SoDown has been catching the ears of many by his unique production. He incorporates saxophone with gnarly trap beats but at the same time keeps it groovy it by bringing it back to funky music that represents Colorado oh so well! He has worked with artists Kyral X Banko and Defunk and has remixed artists like GRiZ and Manic Focus that absolutely pop off! Check out this up and coming artist as it wont be long until he is headlining his own events! Adam Stark- Denver’s foreman for trance. Having been in the scene for multiple years, Adam Stark has earned him self a residency at Beta Nightclub and is heavily involved with Global Dance events, being the to go to trance act for the local music. Having been direct support for artists like Tiesto, Gareth Emery, Dash Berlin and many more, he is the Artist we all crave to see for the feels. Don’t miss any of his upcoming shows! Check it out on his Facebook for more info! Cloud-D – This Colorado grown hetti producer has a live performance that will blow you away. Signed on the sub.mission crew, Cloud-D is showcasing fresh beats by producing them live on stage and incorporating some of the dankest music in the scene. He is an artist that you’ll catch and be hypnotized by with his psychedelic bass music! Mersiv – Coming from the up and coming production and record label, Formo Productions. Mersiv is quite possibly their new prodigy. Based in Longmont, Mersiv has been bumping around the Front Range and getting people hyped with his one of a kind bass music. With an influence from Bassnectar, his music resembles the grime but has a relentless style of his own. Don’t miss out on his next mind melting performance! Trajikk – Denver local, Trajikk has been a diehard Global Dance resident, with performing at their shows and local clubs for over 10 years, Trajikk has been a consistent underground act that keeps the energy high and the the music fresh. Whiskas – This purr faced bass artist has been slaying the scene in Denver and is going to be taking his art to the Groove Cruise from LA to Mexico. He plays a varity of deep house but doesnt stay away from the 808’s or the dubstep. He keeps the party alive while bringing the house vibes. A definite artist on the up and coming that we fully back! Illy Wonka – Still figuring out his damn name.. He has played at Beta and Boulder house! Playing from deep house to deep medi.. this dude will take you on a bass adventure! 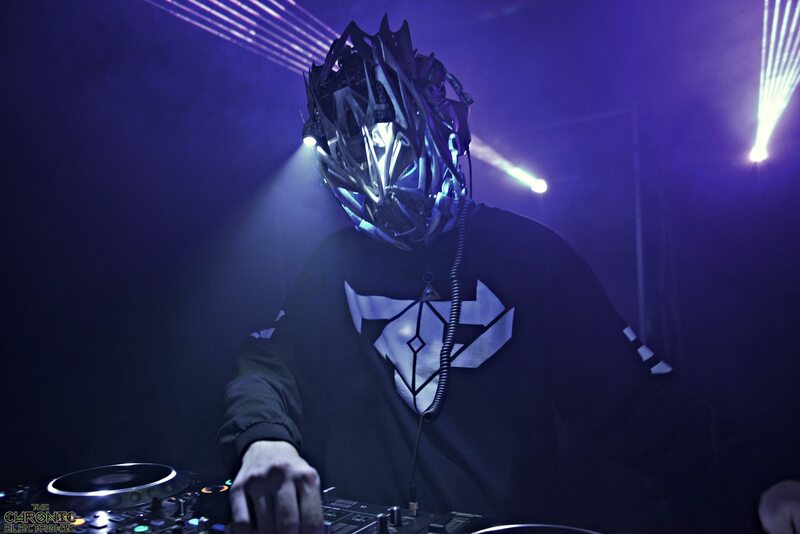 Rettchit – “The Age of The Robot is upon on us and Rettchit is the first phase in humanities final stage of this evolution, as prophesied so long ago.” Producing gnarly dubstep and bass heavy music, Rettchit is on the rise fast and quickly turning heads with his badass taste in production and his helmet design! Check out Rettchit! Detrace- Denver Dubstep talent, Detrace is hitting the shows hard in Colorado. Playing heavy dubstep trap and other bass heavy styles, Detrace is opening for major acts on the front range getting his name spread rapidly. His name has grown fast and within a matter of time he will be phenomena across the nation. OddZoo – A local from where this site originated, in Winter Park, FL and one of our co-founders, Matt L. (OddZoo) has been making his name known within the past few months and has only on been the rise since then. He has been booked for several shows, including after parties at festivals and opening for big acts through Promised Land Productions and Riddim Gang! Check out his recent release and his first EP, Geography. A definite up and coming artist that will be hitting the festival circuits and tours quicker than expected. MVRTIVL LVW- Colorado Springs Grown dubstep Dj has been exploding in the scene. Playing at Rawkus often, he has gotten his name out there as he has opened for major names such as Arius, Far Too Loud, AFK, and more! Check out this upcoming artist below! Zonra – Coming from Denver, Colorado, Zonra has been a major influence on the bass heavy psychedelic scene. Creating glitchy, psychedelic bass music, Zonra offers some of the freshest music and original sets in Denver. A definite must see if ever in your city or at a festival you are going too. He has played for Mimosa and played at Sonic Bloom. Check out his Facebook and soundcloud below! Mindex – This psychedelic electronic music producer offers us the dankest glitch – trip, funky, world, drum and bass music. Having played several major festivals across America and in European and Asian countries such as Russia, Turkey, India, and Indonesia, Mindex has been capturing the brains of all his attendees with a jaw dropping performance every time. Listen to some of his music below and make sure to check out his facebook page for upcoming events! BENOIT – Anderson from Denver is creating some crazy bass music. With inspirations from Bassnectar, G Jones, Noisia, and more, his music has the perfect match of hard bass, spacey beats, and unique samples. He recently came out with an EP that holds his distinct sound. Check out this local that is soon to be up and coming! Efemel – David from Denver is a dubstep producer showing his skills off often. Playing at a Global dance event recently and upcoming at Cervantes, Efemel is showing the Bass scene that he knows how to drop it heavy. Check out this heavy remix of Tipper! T.O.C – Local Colorado DJ and producer has been on the rise for the past couple years in Colorado. With playing multiple Global Dance events such as, Decadence, Skylab, Hallowfreaknween, and more, T.O.C is quickly becoming recgonized for his hard work and talented taste in electronic bass music. Resident of Beta and long time local DJ, Dragon plays towards the crowd and depending on what event he gets booked at, he will play a certain style of music. Definitely worth while to go see this artist bring the locals together for a gnarly party! Resident of Submission and Colorado Springs Local, Psychedelic Bass Producer. Playing at places such as Sonic Bloom and opening for Shpongle, has attracted a certain type of fan base to his music. Check it out! Owners of Triad Dragons Events, they decided to come together for a beautiful music collaboration. They play at their events and around the state and play some house bangers to heavy dubstep and select unique music. They are a local DJ that must be seen! A Resident DJ of Beta Nightclub and Colorado Local, DJ Fury, he has for years been killing game and deserves the up most attention and respect for being one of Colorado’s main sources for Drum and Bass Music. This guy is TALENTED! He chooses the best Drum and bass to play for the most anticipated shows at beta. Check him out someday, plays on Fridays usually.